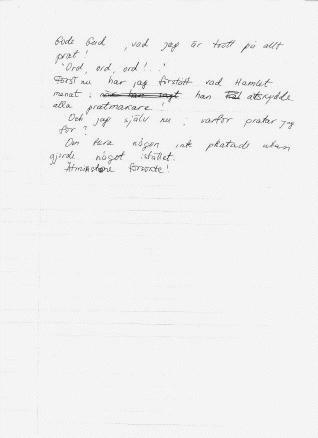 Translation of above note, into Swedish. "Good God, how tired I am of all the talk! 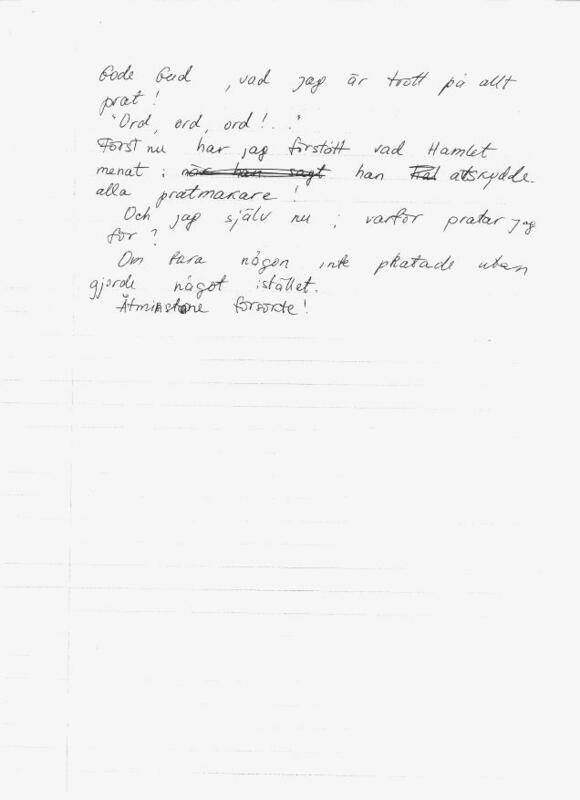 'Words, words, words!' Only now do I understand what Hamlet meant: ...he simply could not stand windbags! And now myself, why am I chattering? If only someone would stop talking and do something instead. At least try to!" 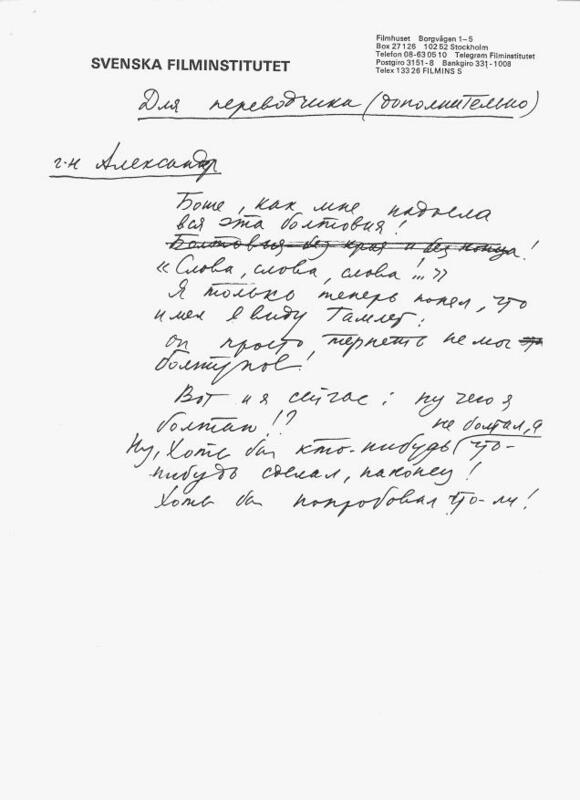 By the way, the heading at the top of the original version says: "For the translator (in addition)", and the paragraph heading says: "Mr. Alexander". 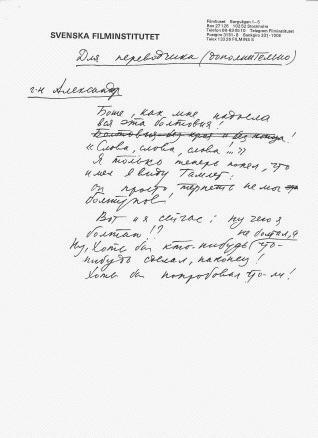 The sentence that's crossed out in the Russian: "The talk with no limit and no end!" I.e., we here have a 100% genuine outtake!